As you all know (Supporting Detail can be copied to different version using the Copy Version option) my answer was you can copy Supporting detail between different versions, but within same version it maybe difficult. The Business reason that went behind this one was Supporting detail for a particular account is similar across all cost centers and user doesn’t want to enter Supporting detail for all cross sections. User will enter supporting detail in a particular webform and would like to copy that across several cost centers within same version. Here are some information on the backend tables though. 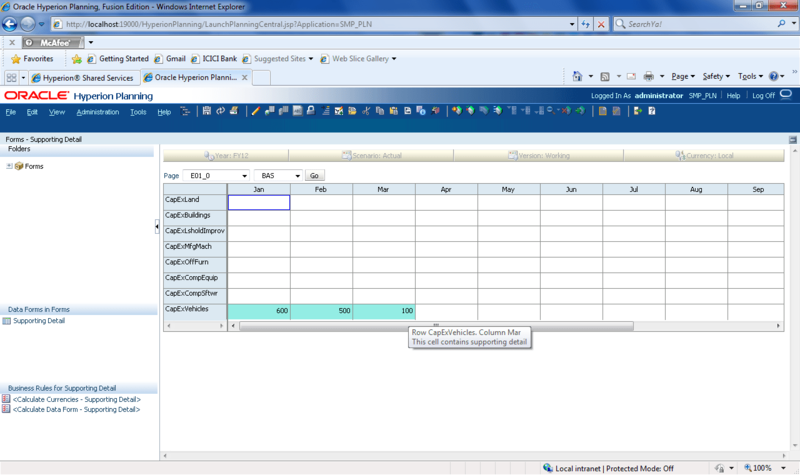 Supporting details are stored in Planning Repository and there are two tables which handle this. HSP_COLUMN_DETAIL contains the cross section of the supporting detail. (which dimensions are part of it, which Plan Type etc). I tried to do a modification in backend and found that it’ll be difficult to match the member ids from object table and thought to go with LCM. I ran an LCM process for extracting supporting detail to file system and it created an xml file of the following format. If you look at the file it gives the member names 🙂 not ids, so modification of this file is easier when compared to the modification of backend tables. The information coming just under <columnDetail> will give the information on the cross section of the Supporting Detail. Everything coming under <columnDetailItem> will give the information like Value, Position, Operator of the Supporting Detail. Find and replace the member “BAS” (the member which you want to copy) and then replaced it with “MP3” (Target Member). If you want to perform this for multiple members then, copy the entire content from <columnDetail> to </columnDetail> of BAS (the member which you want to copy) and then replace it with “MP3” (Target Member), paste this information after a </columnDetail> tag. Perform an LCM (filesystem to Planning application) and the Supporting Detail was copied to “MP3”. Only issue that I noted was it didn’t save the data to Essbase. To get data, you should run a DATACOPY to copy the data from Source to Target (In my case I did a DATCOPY BAS TO MP3). LCM only does a update (it’ll not remove the existing values). Only keep the values that you intend to modify. 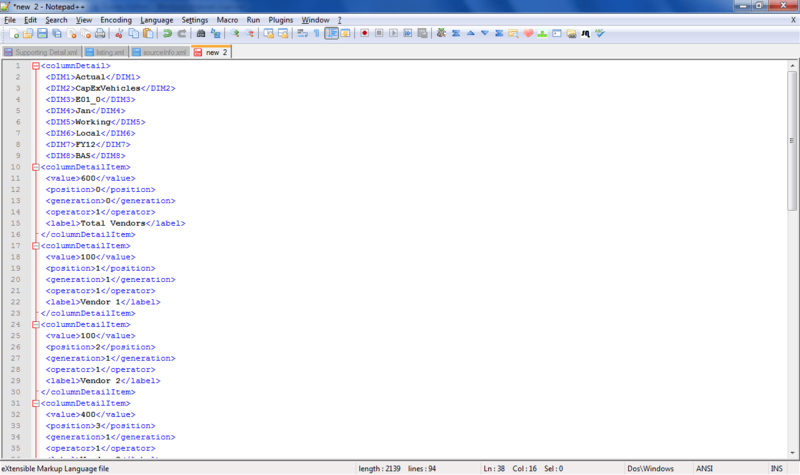 In the above example I removed all the occurrences of BAS (existing supporting detail information) from the xml file. If you don’t remove it LCM will replicate the value and this will result in double entry and will corrupt the Supporting Detail information. If you want to keep the entire xml, then DELETE existing values from HSP_COLUMN_DETAIL and HSP_COLUMN_DETAIL_ITEM tables.